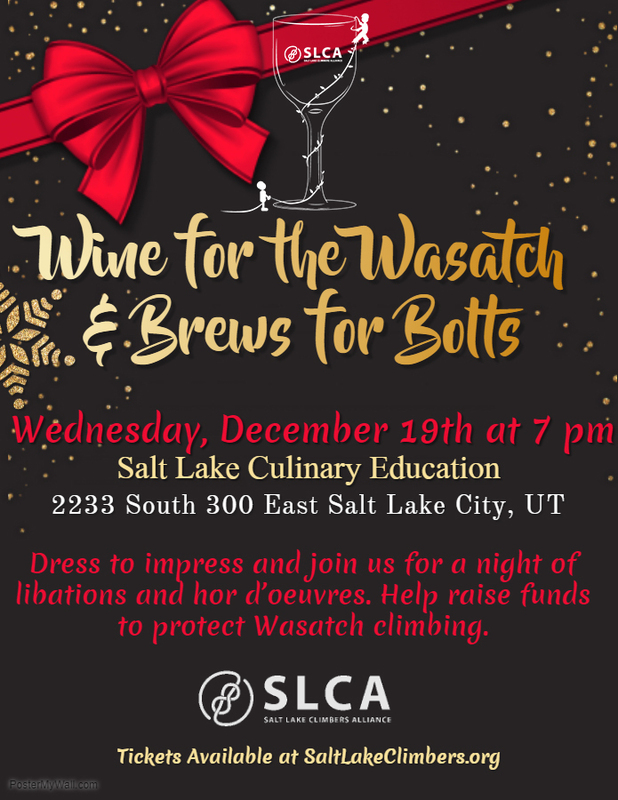 Join the Salt Lake Climbers Alliance in a toast to Wasatch climbing at the 1st Annual Wine for the Wasatch and Brews for Bolts. Get your tickets. 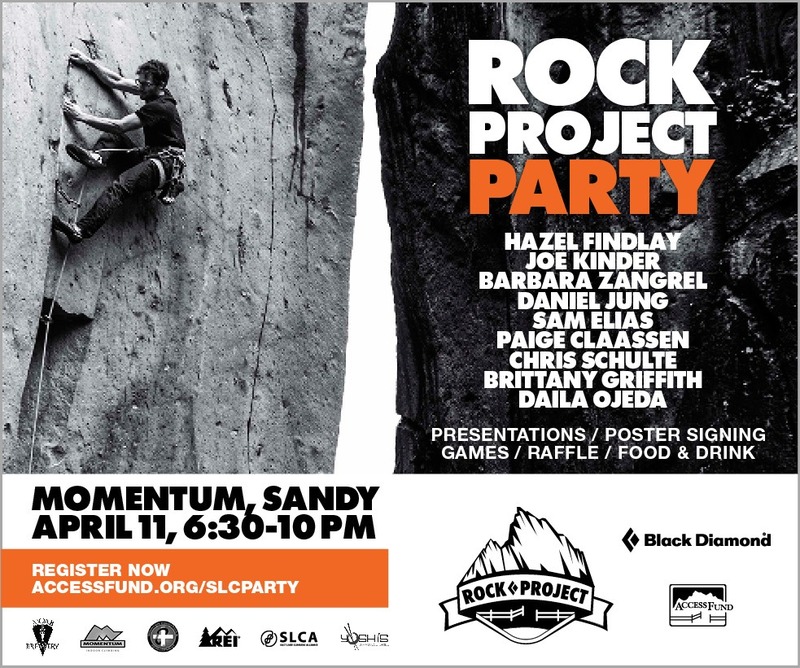 Dress to impress for a night of libations and hors d’oeuvres as we raise funds to protect Wasatch climbing. 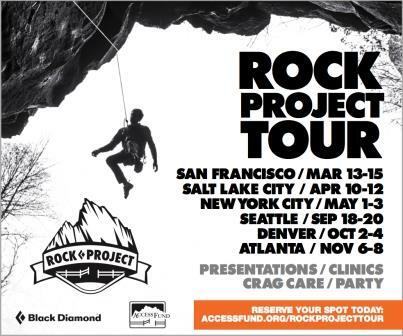 This celebration is supported by Momentum Indoor Climbing Gym, Moab Brewery, and Salt Lake Culinary Education.